Several years ago we visited the Houston Museum of Fine Art survey exhibit of contemporary and modern photography. At that exhibit several photos from the “Cancellation” series by Thomas Barrow stood out. With their bold scratches running through the “new topographic” school style prints, the photos operated on confusing levels of rejection and admiration. Thomas Barrow’s Cancellations is a series of photographic prints of desolate spaces-empty lots, construction sites, deserted industrial areas-that all show the presence of mankind without showing a single living human. 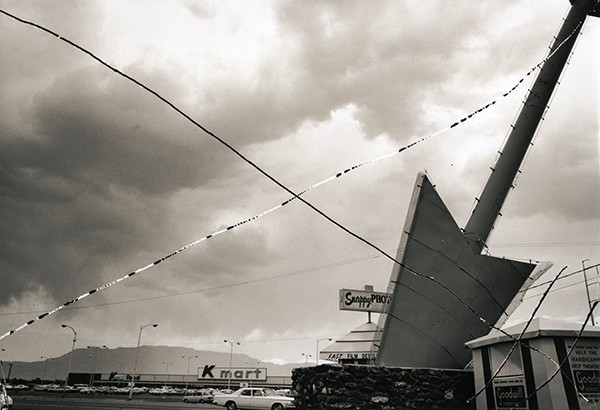 Compiled in the 70s and 80s, Barrow’s beautiful sepia-toned images show their age in their sheer physicality. These are clearly prints, not digital files, evidence of which can be seen in their specked and aged surfaces. And they call further attention to the hands-on process of silver gelatin photography through marks, often an X across the image, carved by Barrow directly onto the negative. 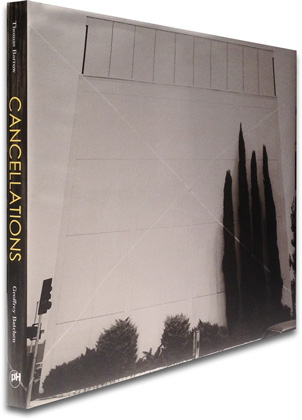 Widely exhibited since its compilation, Cancellations will see print for the first time in the form of a beautifully produced artist’s book.